This basket has a diameter of about 10.5 in, a height of about 2 in and a Net WT of 2.75 lb. Can’t decide which sugar free gifts would be best suited for your friends and family? For sheer variety and abundance, it would be hard to top our incredible Sugar Free Sweet Celebration Basket! With nearly three pounds of the best snacking this side of heaven, it’s perfect for diabetic gifts that can accommodate everyone in your circle, whether they’re on a sugar free diet or not. The generous five-tray gourmet selection makes this one of our most popular diabetic gift baskets, ideal for celebrating special occasions or any event that calls for sweet indulgences—without the usual health concerns. 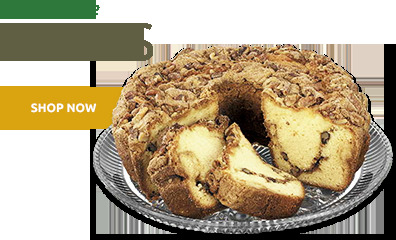 This is a substantial gift that’s sure to delight every nut lover, sweet tooth and inveterate snacker on your list. 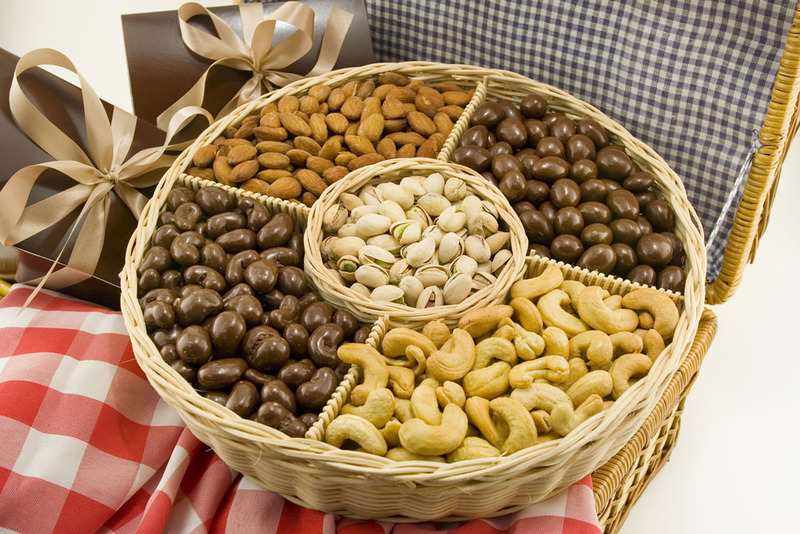 The custom five-section gift basket comes filled to overflowing with delicious sweet and savory treats available only from Superior Nut Store. 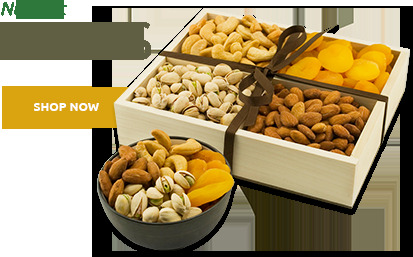 Your recipient will enjoy three specially selected gourmet nut varieties, packed fresh from our on-site roasters and lightly salted to bring out their exceptional flavor. It’s hard to argue with the buttery flavor of our Giant Cashews, the satisfying crunch of our plump California Almonds, or the unique flavor of our Colossal California Pistachios. And then there are the sugar free chocolate selections. 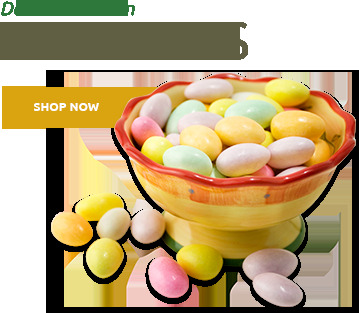 We’ve included two customer favorites; together they make this one of the premier diabetic chocolate baskets on the market. Both our Sugar Free Chocolate Covered Almonds and Sugar Free Chocolate Covered Cashews feature a sinfully sweet chocolate coating made with an advanced sugar free sweetener. Taste one, and you’d swear it was loaded with real sugar, but we assure you, there’s no need to worry. 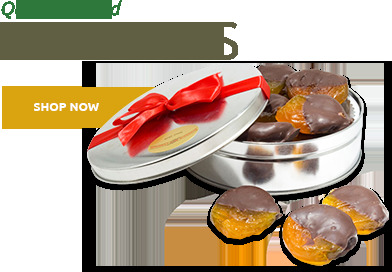 And remember, our sugar free gifts are especially well suited for older adults, because according to the American Dietetic Association, 8 of 10 adults over 65 get a significant percentage of their nutrition from snacking. For them, or for anyone you care about, we think our Sugar Free Sweet Celebration Basket represents an excellent choice! 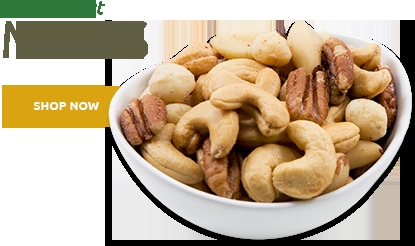 Giant Cashews (Cashews, Peanut Oil, Salt); Sugar-Free Chocolate Covered Almonds (Sugar Free Flavored Chocolate (Chocolate Liquor, Maltitol, Cocoa Butter, Sodium Caseinate, Milk Fat, Soy Lecithin (an emulsifier), and Artificial Flavor (Vanillin) Natural Flavor, and Salt), Almonds, Gum Arabic, and Certified Confectioners Glaze. Contains: Almond, Milk, and Soy Ingredients. ); Sugar-Free Chocolate Covered Cashews (Sugar Free Flavored Chocolate (Chocolate Liquor, Maltitol, Cocoa Butter, Sodium Caseinate, Milk Fat, Soy Lecithin (an emulsifier), Artificial Flavor (Vanillin), Natural Flavor, and Salt), Cashews, Gum Arabic, and Certified Confectioners Glaze. Contains: Cashew, Milk, and Soy Ingredients. ); Colossal Pistachios (Pistachios, Salt); Jumbo Almonds (Almonds, Peanut Oil and Salt). I bought this as a gift for my parents! My mom said it was excellent!